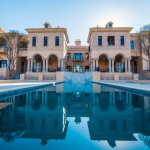 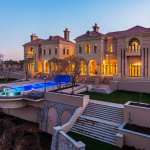 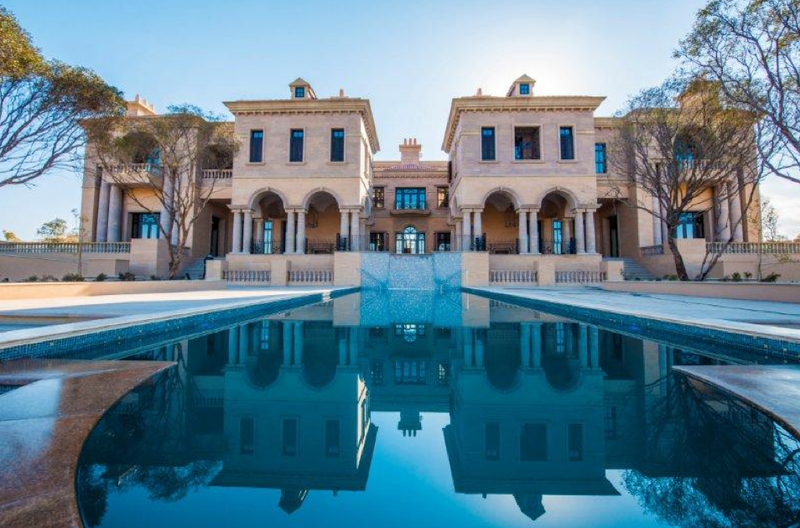 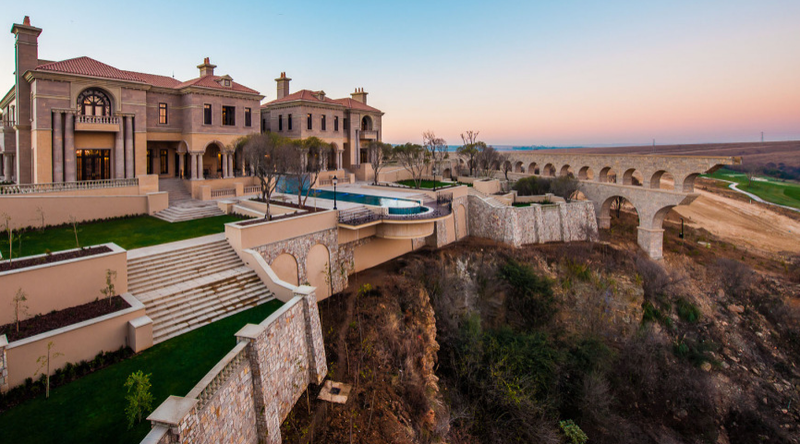 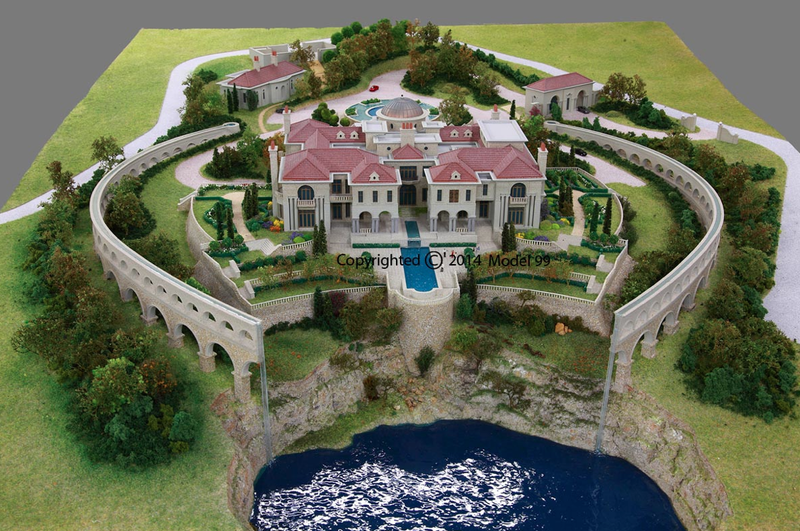 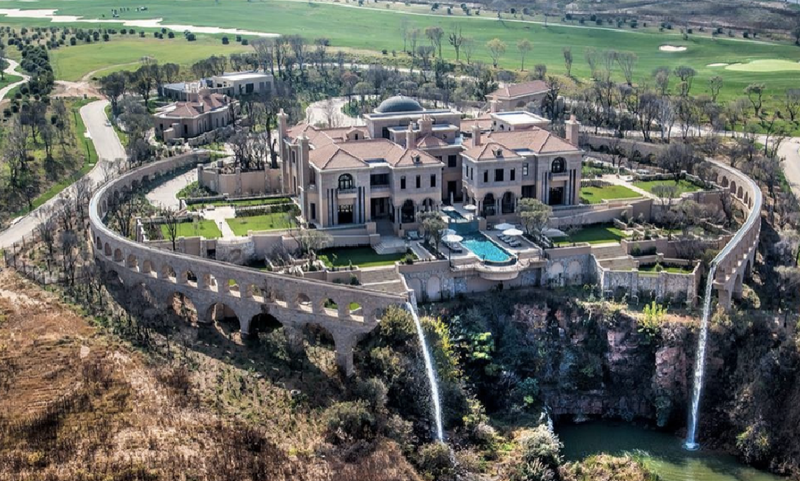 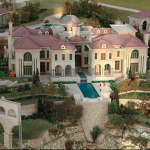 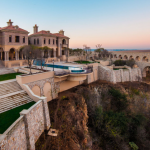 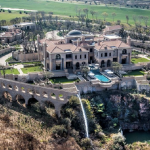 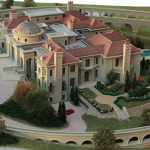 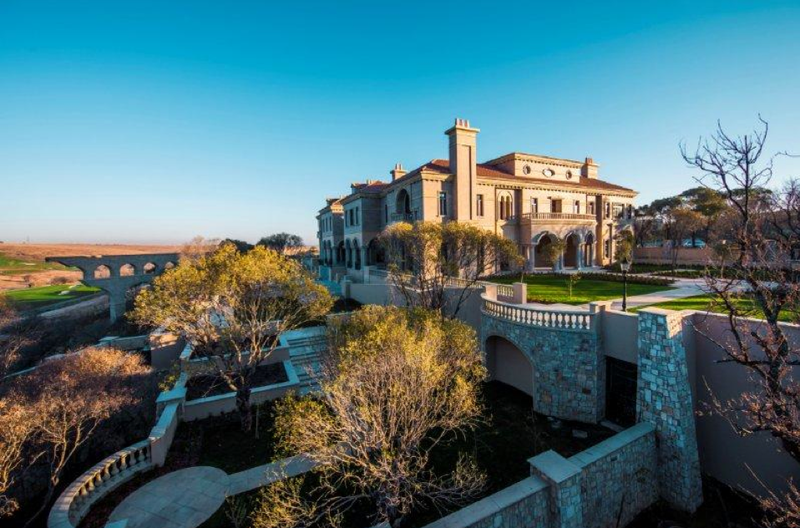 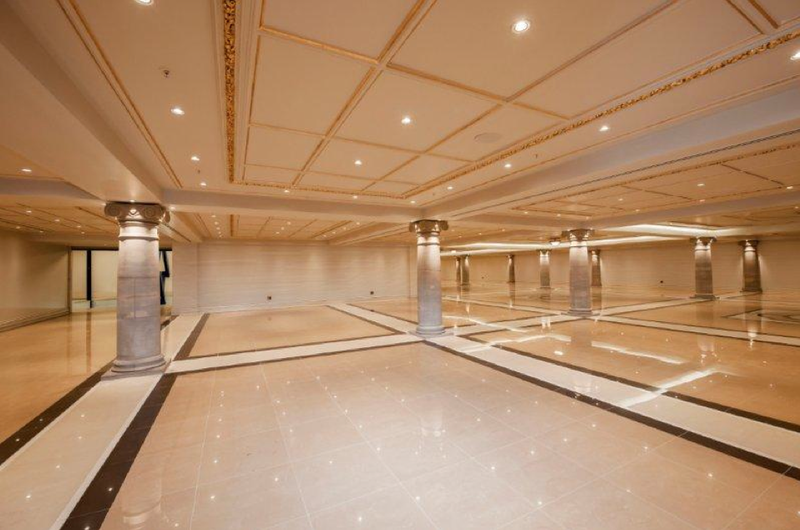 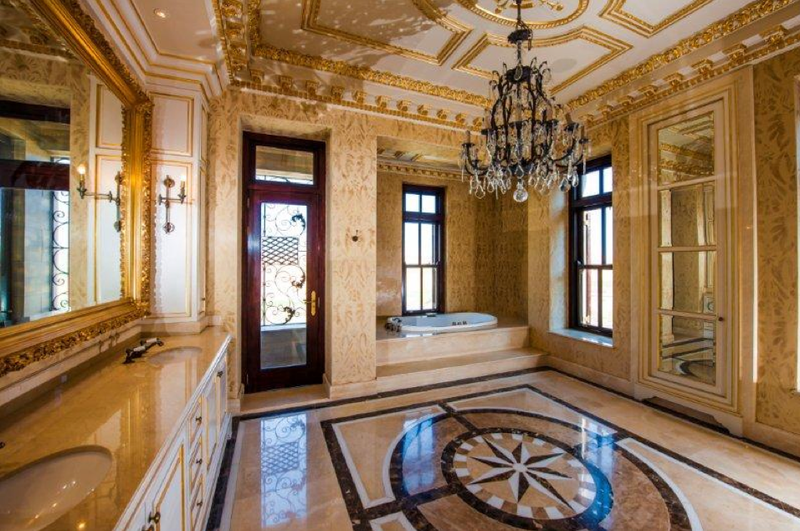 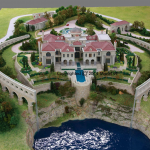 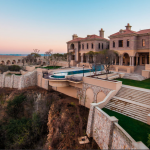 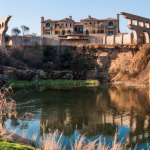 This amazing mega mansion, dubbed “Palazzo Steyn”, is located in Midrand, Gauteng, South Africa. 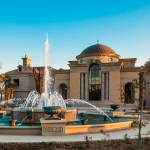 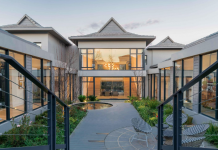 It is the centerpiece of “Steyn City”, a lavish community under construction that will feature 11,000 residences, private hospital, 2 private schools, offices park, an 18-hole Jack Nicklaus-designed golf course and a wooded parkland. 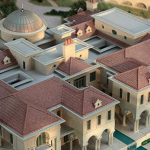 It is set to open in 2015. 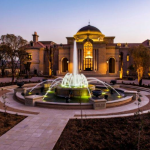 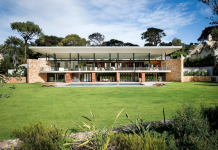 Steyn City is the brainchild of billionaire Douw Steyn, an insurance tycoon who founded Auto & General. 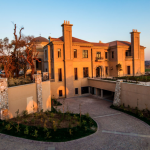 Palazzo Steyn is Douw’s personal residence. 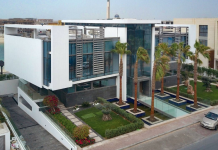 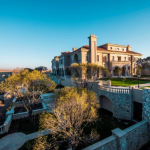 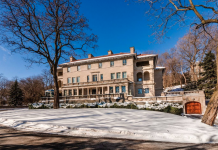 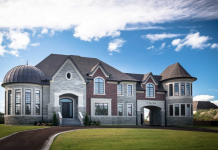 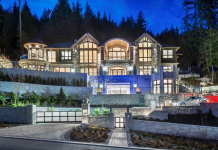 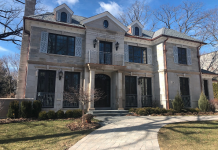 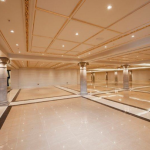 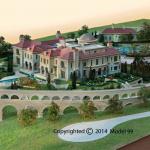 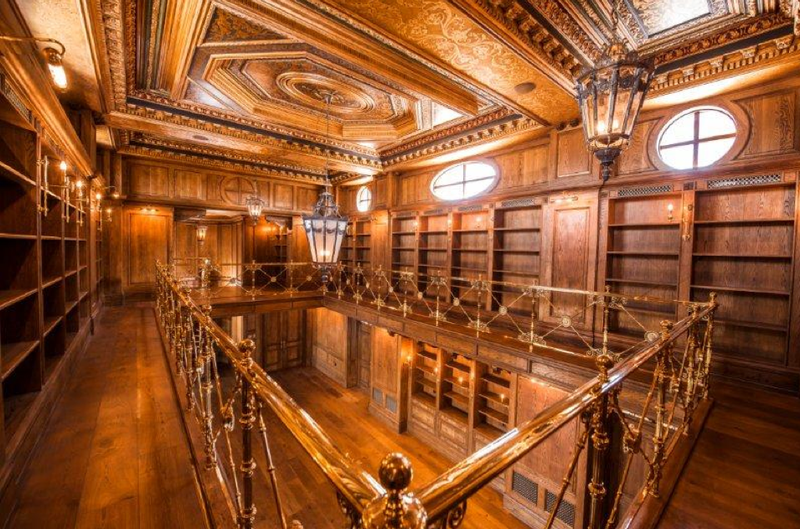 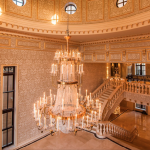 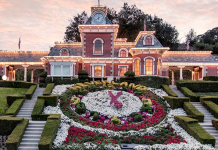 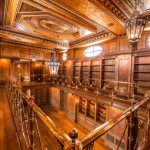 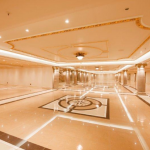 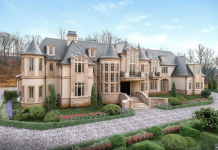 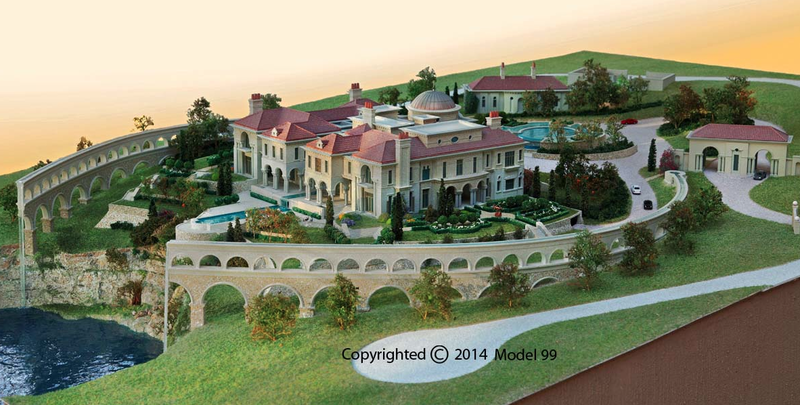 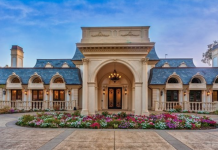 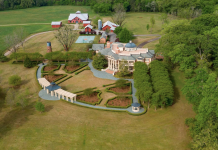 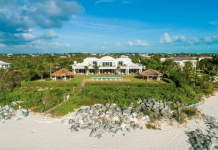 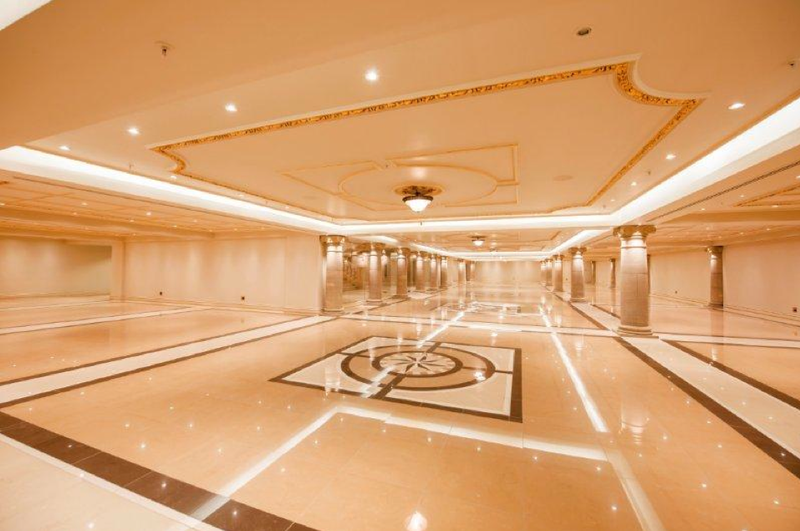 Valued at $25 million, the 32,000 square foot mega mansion features 7 bedroom suites, 2-story foyer with domed ceiling and grand staircase, 2-story library, 33-car subterranean garage and more. 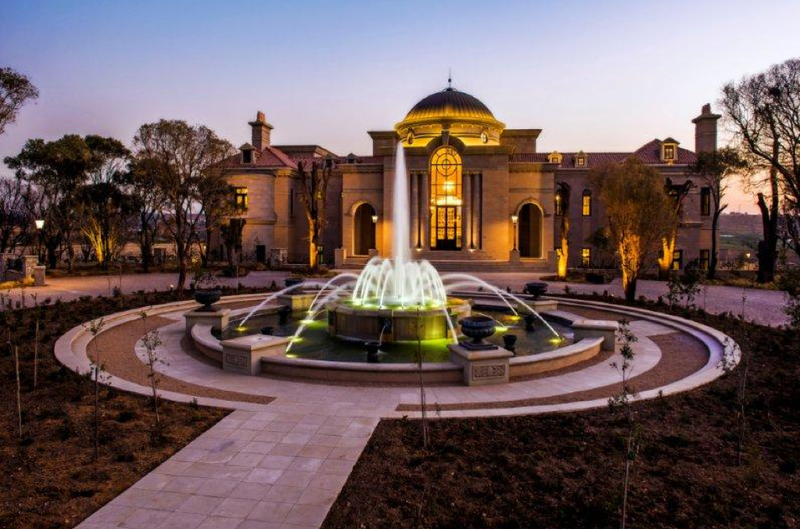 Outdoor features include a circular driveway with fountain, tiered lawns, infinity edge swimming pool and two unique waterfall features on either side of the home that spill out into a man-made lake. 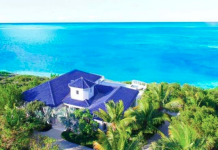 There is also a separate gate house and staff/guest house. 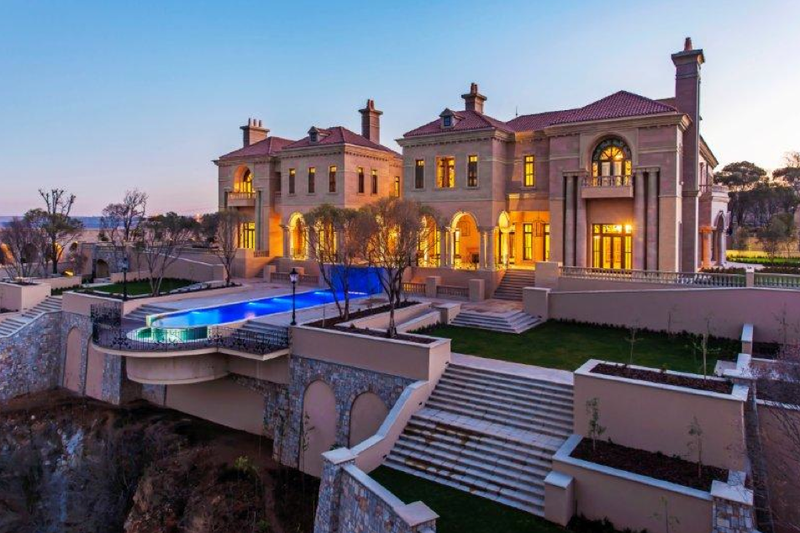 *Thanks to HOTR reader Thabo for the tip!